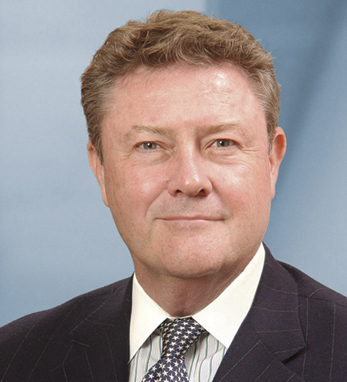 Edward T. Reilly has been the 17th president and CEO of the American Management Association, International since 2001. AMA is the world’s leading not-for-profit, membership-based management development, research and publishing organization. Ed previously served as president and CEO of Big Flower Holdings, Inc., a leading provider of integrated marketing and advertising services. Prior to that, Ed spent nearly 30 years with the broadcast and book publishing groups of The McGraw-Hill Companies. Ed holds a BA in business administration from St. Francis College and attended the Stanford Executive Program. He is chairman of the USO World Headquarters Board of Governors, a member of the North American Advisory Board of the UCD Michael Smurfit School of Business in Dublin, and a fellow and former Chairman of the Royal Society for the Arts in the U.S. A fourth-generation Irish American, he resides in Westport, Connecticut, with his wife, Susan. Ed has roots in Cavan on his father’s side and Limerick on his mother’s.